Over the next few weeks we will be releasing our positional rankings covering the state of Washington. We will have athletes ranked numerically and an honorable mention list, based on who PROJECTS HIGHEST AT THE NEXT LEVEL. There are a variety of factors that go into determining who projects where..These include (Current offers, Size, testing, All league/State accolades, camp/combine performances, stats, competition levels, D1/NFL Genes, GPA, Overall character/work ethic etc.). You can be a very talented high school athlete and not project to a high level of college football. (EX: If you are a 5-10 first team all league or all state lineman congratulations, but you are not going to project to a D1 school. It is what it is and that goes for all positions. 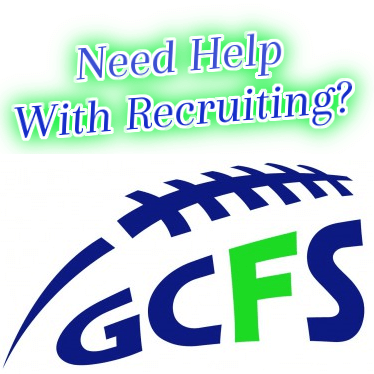 We feel very fortunate to have the college contacts that we do, so it’s important that the rankings are structured so that all schools can get a realistic breakdown of who they should be recruiting. Through NEI and the Barton Football Academy we have been able to work with most of the top athletes in the region on a consistent basis, which has enabled us to make the accuracy of our evaluations more legitimate then any other group or recruiting source. All of these rankings are subject to change at any time based on any new information received. It’s important that we see any athlete that feels they are one of the best, as we can only determine so much based on film or word of mouth. Any top athlete that feels they should be higher on this list should get out to one or more of our NEI/Barton Football Camp and Combine events. As most of you know all of our events are documented via video allowing us to see kids in person, while breaking down film of athletes after the fact if we still have questions about a kid. No other football academy has ever ventured to do such a thing, but we feel that this is the most fair and accurate way to give each athlete a ranking. Obviously nothing is perfect, but it is by far and away the most credible source in the region. * We are constantly updating and adding to the site. It is a big region so please let us know of any athlete that you feel may have been missed. We are more than happy to look at any and all information sent to us referencing our northwest athletes. Very talented multi dimensional athlete that can throw and run equally well. Outstanding baseball player that is just a general. Lead his team to the 2011 state title as a sophomore QB, and was a fixture on the NEI Camp and Combine tour over the off season. Training with Taylor Barton has been huge; 3.98 student, will be very interesting to see how he can develop with a run based offense. Mitchell split time at QB as a sophomore and started at Free safety on a talented Mt Si team that looks like one of the state’s best this season. 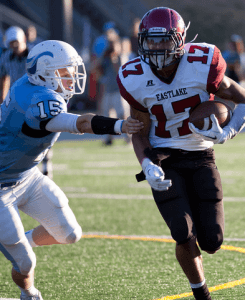 He has had as good an off season as any kid state wide, and has a plethora of targets to throw to…Both older brothers are college athletes Taylor (Humboldt St ) & brother Josh heading to (Oregon St) on a full scholarship; 3.65 student.. Outstanding kid that just lives and breathes football. One of the top overall athletes in the western part of the United States..Came in his sophomore year and completed 108 passes for 1449 yds and 13 Tds; Had an incredible off season coming to Seattle during the summer to train with Barton… He was the leading scorer in the conference in hoops (17 ppg), something very tough to do any league as a 10th grader. The kids just a baller and is a legit D1 prospect on multiple levels…Wants to learn, quality kid, cant say enough good things. This kid has been ballin and definitely has a huge upside; 22/32 . 415 yds, 4 Tds in week 1..Leading one of the top teams in the state, should be a kid that we see in some big ball games later in the year; Good size. This kid is really good and has raised eye brows everywhere he has gone; very impressive athlete with a good arm.. Last week he completed 8 of 13 passes for 307 yards 3 Tds in a half.. Kids long and athletic, Barton would have him dialed. Outstanding overall athlete from one of the best football communities in the NW in WF West.. Gueller’s brother just got himself a million dollar signing bonus after he was drafted early in the major league baseball draft. Kids a workaholic traveling to Portland on almost daily basis during the summer to train with TB..Big kid that can move and is a born leader. 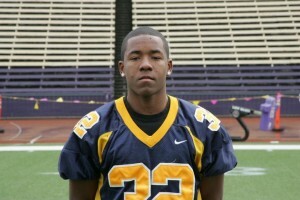 Good looking athlete that is part of a wing T offense…. Threw for 860 yards and 13 Tds on 55% passing, looking forward to seeing him on the camp circuit as he has an abundance of potential at 6-6.. MP is a good football team and with a big year Luton could climb this list quick. Becker led the Cougars to an 8-4 record by completing 64.7% of his passes for 1,205 yards, 12 touchdowns, and eight interceptions while rushing for 349 yards and five touchdowns in 2011.. He’s been hard at work this offseason , and is a great leader and a very good athlete. 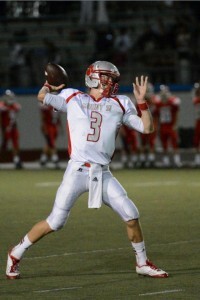 This year will be a huge for the emerging signal-caller…All league 2011, #1 ranked 2a team.. He plays like he is 6-3 super athletic. Ryan is a grinder and is just getting better. 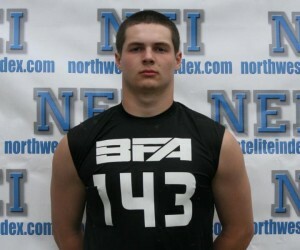 He could climb this list quickly as he trains with Barton all off season; Very good arm and overall athlete. Robertson will replace the graduated Jason Hutchinson and he has big shoes to fill. In spot duty, Robertson showed a good arm and solid decision-making skills so the Braves appear to be in good hands. He will be a player to keep an eye on during the fall to see how he does as the leader of the team. Super talented athlete that is happy to use his feet, but can also throw. Big upside with improved Renton program. Powerful runner with breakaway speed. Split time in talented Bellevue backfield as a sophomore, managed just under 500 yards rushing and 10 touchdowns while also racking up over 40 tackles and two interceptions from his safety spot on defense. Baker has made it clear he prefers defense, but he is open to playing on either side of the ball in college. The talented prospect is also an elite kick and punt returner, so no matter where he plays he will see time on special teams. Baker already has offers from a handful of schools including Washington and UCLA. Likely to be one of the top athletes on the entire West Coast when it is all said and done. A very talented two-way star for a school that doesn’t produce much in the way of college talent. Downs is big, physical and he runs like a dear. As a sophomore this past season, Downs rushed for over 800 yards and scored 11 touchdowns while also racking up over 90 tackles and two forced fumbles from his linebacker position. Downs doesn’t have any offers yet, but he’s getting interest from schools across the country including Nebraska, Michigan, Wisconsin, USC, Oregon and Washington among others. Brother of PITT record breaking RB Ryan Lewis. Multi-dimensional kid. Bigger than his brother with equivalent speed. Also a really good student. Legit D1 prospect that can be considered one of the best overall prospects in the entire state. 2nd team all league as a sophomore. One of the best overall Jr’s in Washington. 800+ All-Purpose yards with 12 touchdowns, 8 rushing, 4 receiving through five games. 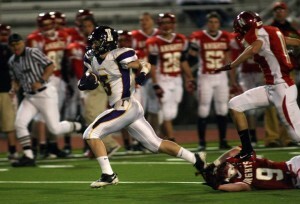 May be the best kick/punt returner in the state. Three sport athlete and 4.0 student. Kids a baller. Two-way starter as both a freshman and sophomore for the Eagles and earned First Team All-Kingco 4A Crest Division. Gellatly has great instincts, outstanding quickness and he’s tough. He also is faster than people give him credit for and is able to break away from the pack when he gets in the open field. Outstanding baseball kid as well. Outstanding two way threat that has found the end zone multiple times this season; Expect Millie to team with Drew Griffin and Brandon Thompson to form one of the most dangerous multi threat trio’s in the state. Started his junior season out right after an injury plagued sophomore campaign; Scored 4 Tds in the season opener and has a unique quality combination of size and speed. 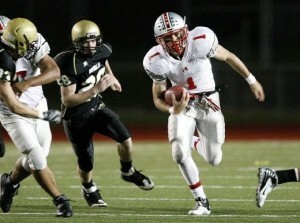 Had a solid season for the Titans in 2011, rushing for nearly 800 yards and 15 touchdowns. 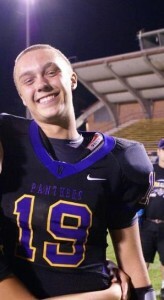 Received Honorable Mention All-GSL honors for his efforts. Strong athlete with good speed. 2nd Team all league kid that rushed for 769 yards and 6 Tds ; has legit size and quicks and will be looked at as one of the top returning players in the conference. Fullback type that can run; Gets a lot of carries in the O’Dea system and can move very well for a big man..Multiple Tds, happy to lay some hat. Rushed for 879 yards and 10 touchdowns in 2011 and also had 41 tackles on defense. Rickman is solid in the open field and has very good elusiveness to go along with underrated speed. Really good back on an underachieving team. Could move up these rankings really fast. Rushed for 699 yards and 10 touchdowns in 2011. 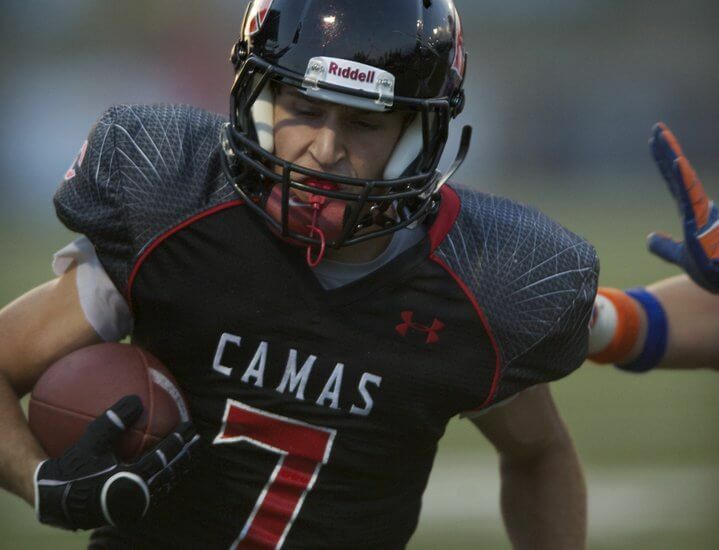 Named Second Team All-Nisqually as a RB and LB. Smith put up solid numbers for the Panthers this past season. What he does best is move the chains. 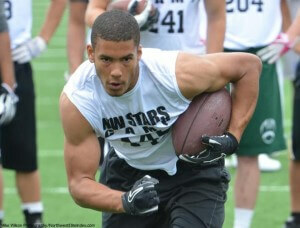 He will split carries with Isaiah Brandt-Sims, as Brandt-Sims is considered one of the top athletes in the entire NW. North-South runner who loves contact. Has good speed and vision. Rushed for 291 yards and five touchdowns in spot duty last season. Converted QB because CHS plans on using a Wing-T type offense. Really like the way this kids runs the ball. Has great speed and vision. Second team all metro offense and defense.. Big kid that can run or block. Very physical runner that can move, has an exciting future. One of the most exciting backs in the country; 1450 yards rushing/receiving, 17 Tds as a sophomore; Two time state champion in the 100 and 200 meters at the 4a level 10.6 (100) 21.24 (200) .. Incredibly won both as a freshman.. Your ultimate team guy with a 3.9 GPA, will have 15 offers before his senior year….Was the only Sophomore to go with us to Vegas and he may have been the best player on NEI-North at the national 7 on 7 tournament. Moved from Kentucky a few years back and is just a baller… Strong, very fast kid (4.45 hand) who will out work most…Football junkie that should also be considered one of the better Kick/Punt returners in the NW. 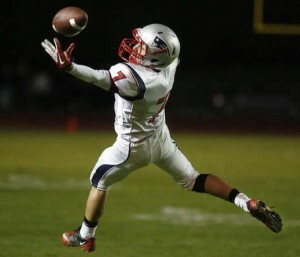 This kid is nasty and is breaking records everywhere..Doesn’t really drop passes; 37 receptions, 613 Yards, and 6 Tds in 2011 earning 2nd team all league honors.. Showed up at a winter elite event and did well; Set the school record for receptions in a game in week 1 with 14 for 157 yards. Kids just filthy in the open field.,. Can play 5 different positions WR/Slot/RB/DB/KR-PR… Dangerous return man anytime he gets the ball in his hands , 13 receptions in first 2 games + 100 yard kick return. Lock down defensive back, one of the best in the state that is also an outstanding offensive player if given opportunities.. Can play RB/Slot/WR whatever you need him to do; Just a very strong, athletic kid.. One of my personal favorites. 2nd team all league as a Sophomore. One of the best two way threats in the state. From a football family and is the son of a head coach for a legit state title contender. 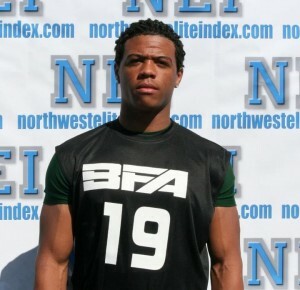 Two way threat, excellent DB…4.45 Hand time 40 yard dash, did very well at our camp/combine in the spring. Named Honorable Mention All GSL in 2011.. Will be Jake Hoffman’s side kick and one of the more dangerous players in the league, as everyone will be spying Hoffman. Kids extremely elusive and hard to keep track of. Very shifty and talented athlete.